Former Burnley captain Jason Shackell is on the move and has joined Millwall today from Derby County on a loan deal until the end of the season. Shackell, now 34, rejoined Derby from the Clarets following our relegation in 2015, believing that it was his best chance of returning to the Premier League. That hasn’t happened for him and, following an injury last season, is no longer considered for the first team at Pride Park. It is thought that, if all goes well, the deal could be made permanent in the summer. Shackell said on completing the move: “I’m really pleased to put pen to paper, really happy. After speaking to the manager, I’m excited to get going at a great club. “I’ve overcome some injuries in the last year, so I’m now fighting fit. Millwall have done really well recently and have a good squad with some good players and that’s something I’m super excited to be a part of. “We’ve got some experienced people here and I’m looking to try and add to that group. I’m very vocal on the pitch and I will do my best to get my messages across to the younger lads. I try and keep it simple like most people in my position do! I try my hardest to play well and talk to organise the team. “I’ve been to the top of this division with Burnley, as well as a little bit with Wolves and Norwich. It’s a tough division where anybody can beat anybody. His new manager Neil Harris was delighted to get the deal done. He said: “I am really pleased Jason Shackell has come in. We have been chasing an experienced centre-half over the course of this transfer window. “People might look at it and think “that’s unusual for us to go and sign a 34-year-old,” but I have done it because he is hungry. He is a really good one for us to bring in. “I love what we are currently doing here at Millwall; we have a great group of lads and some good young kids coming through, but I felt like we maybe need a bit more experience. You can never have too many experienced players in the team or in the squad to lead. I felt that in the back-line we may be needed another voice and some guidance. “If we want to keep progressing as a team, as a squad, as a club, then our standards have to keep right up there. By bringing in senior players who have been there and done it in the Premier League, as well as at the top of this division, can only guide us as a group. 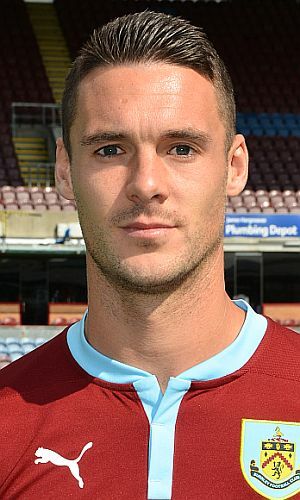 Shackell was with Burnley for three seasons, making his debut in a League Cup win at Port Vale in August 2012. He captained the side throughout his stay, leading us to automatic promotion to the Premier League in 2014. He made a total of 136 appearances for us and scored four goals, two of those coming against Blackburn Rovers at Ewood Park.